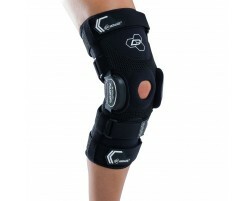 Here are the braces, supports, and therapy products we recommend for lacrosse players. Injuries to the knee and ankle are very common for sports like lacrosse that involve lots of running. If the surface on the field is uneven, a simple misstep may lead to an ankle rollover injury or even an ankle sprain. Knee injuries are also quite frequent in lacrosse, since sudden changes in direction and speed may cause the ligaments in the knee to move farther than their natural range of motion. This type of movement causes knee strain and ligament tears. 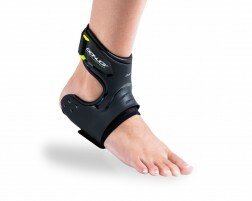 These ankle and knee injuries may lead to a lacrosse player missing several weeks of playtime, or even an entire season. 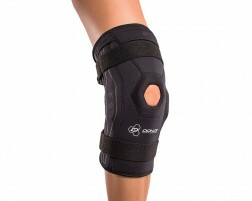 Wearing lacrosse braces and supports may help prevent these types of injuries from occurring by providing added stabilization to your knees and ankles. This is especially important if the athlete has been previously injured so that there's ample protection from re-injury.